We can help! 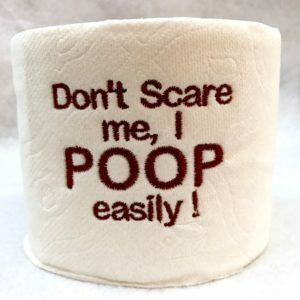 When you get the poop scared outta you, this fun treat will help keep things clean! If not, well, at least you got a chuckle out of it. Now, go clean up.